Are the United States and China on a collision course? In response to remarks made by Donald Trump’s secretary of state, China’s state-run newspaper Global Times asserted, "Unless Washington plans to wage a large-scale war in the South China Sea, any other approaches to prevent Chinese access to the [disputed] islands will be foolish." Some experts contend that conflict is inevitable when an established power does not make sufficient room for a rising power. 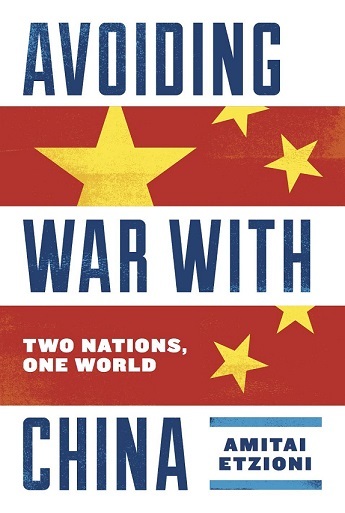 In this timely new work, renowned professor of international relations Amitai Etzioni explains why this would be disastrous and points to the ways the two nations can avoid war. The United States is already preparing for a war with China, Etzioni reveals. However, major differences of opinion exist among experts on the extent of military commitment required, and no plan has been formally reviewed by either Congress or the White House, nor has any been subjected to a public debate. Etzioni seeks here to provide a context for this long overdue discussion and to explore the most urgent questions: How aggressive is China? How powerful is it? Does it seek merely regional influence, or regional dominance, or to replace the United States as the global superpower? The most effective means of avoiding war, several experts argue, requires integrating China into the prevailing rule-based, liberal, international order. Etzioni spells out how this might be achieved and considers what can be done to improve the odds such an integration will take place. Others call for containing or balancing China, and Etzioni examines the risk posed by our alliances with various countries in the region, particularly India and Pakistan. With insight and clarity Etzioni presents our best strategy to reduce tension between the two powers, mapping out how the United States can accommodate China’s regional rise without undermining its core interests, its allies, and the international order.